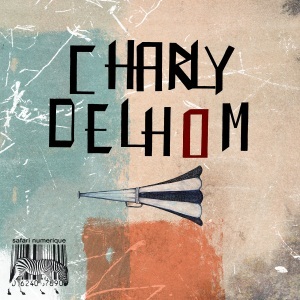 Born in France, Charly grew up on the sound of electronic rock and other weird contemporary movements. At the age of 19, he finishes college and moves out to London. It is there that he slowly grows a huge interest for electronic music. In 2003 everything starts for him, he launches his first warehouse parties in east London, making quite a big noise in the neighbourhood. From then on, everything went really fast, running Exit Bar programmation, he quickly made a name for crazy after hours, including after parties for Secret Sundaze, Mulletover, Djs Can Dance… It is from all those energies that djing came to his mind…One day, Jamie Jones leaves his records in the bar after the night, giving Charly the green light to play around with them… The following week he has his first box.. Next summer he starts Plug In parties with the help of Derren Smart (Music Box Ibiza / TBar…), see London Time Out 2006 DVD realease ‘’THE OTHER SIDE OF LONDON’’ . In the winter he takes care of the opening of 54 Club London together with Cesar Merveille, inviting more and more international guests. Keeping residency in all the above, Charly always looked for new sounds, new artists. After 2 years of growing in the London scene, he already had played in most of the electronic music clubs of London and taken residences in clubs such as The Key, T-Bar, Aquarium, Retox, Sosho…Plus abroad gigs in different clubs: Sweden, Belfast, Berlin, Barcelona, Dublin, Toulouse, Montpellier, Beirut… Playing w/ djs and artists such as Jamie Jones, Shaun Reeves, Dyed Soundorom, Mayaan Nidam, Margaret Dygas, Sammy Dee, Ryan Crosson,Troy Pierce, Magda and many more. This entry was posted on January 25, 2011 at 13:31 and is filed under Release, Safari Numerique.